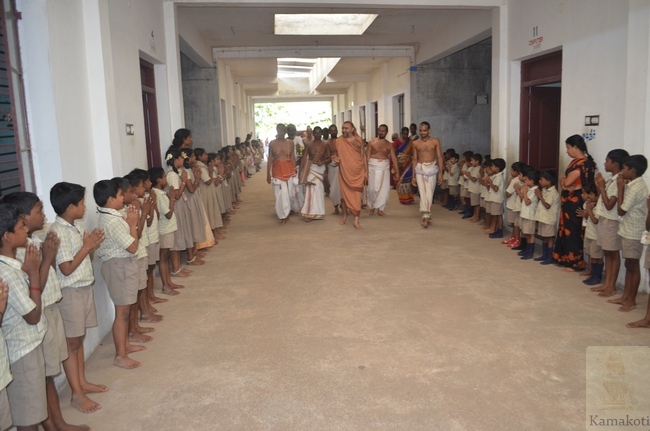 His Holiness Pujya Shri Shankara Vijayendra Saraswathi Shankaracharya Swamigal visited Kanchi Shankara Primary school on 25/2/2016. 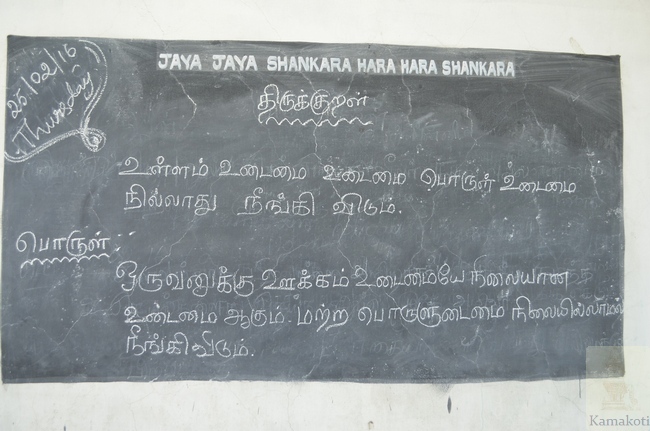 About 200 children are studying in the school & there are 10 teachers. 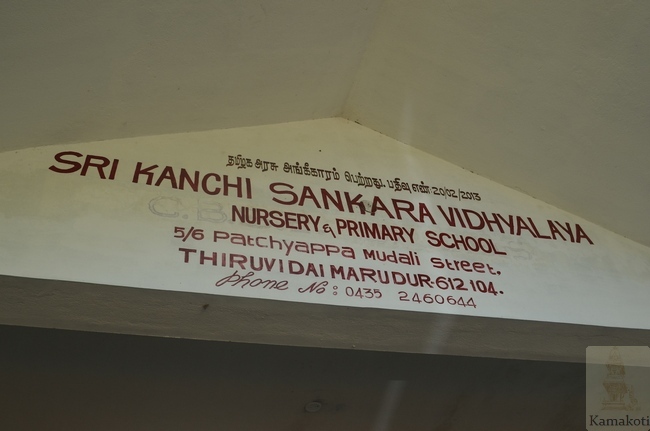 The primary school is up to 5th standard. 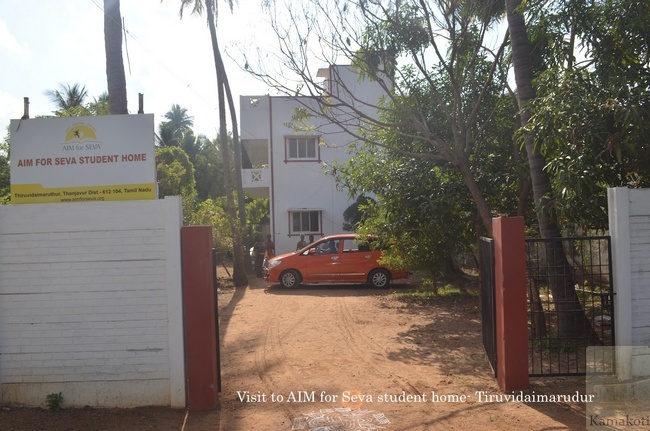 His Holiness then visited AIM for Seva students hostel. 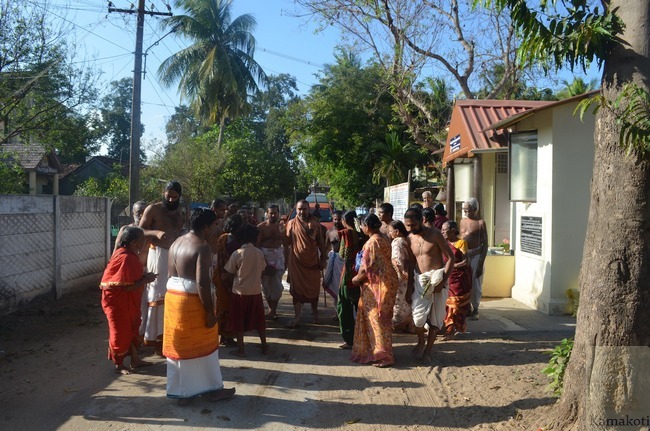 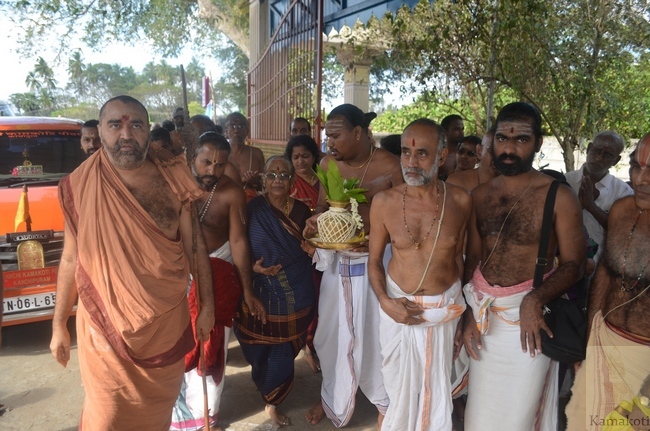 His Holiness then visited Mahaswamigal Tapovanam in Govindapuram. 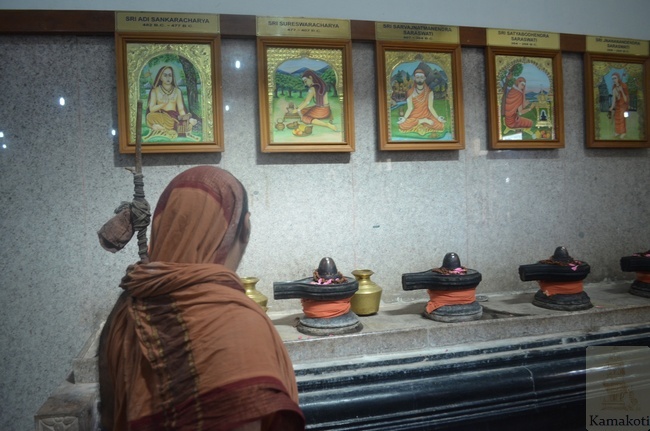 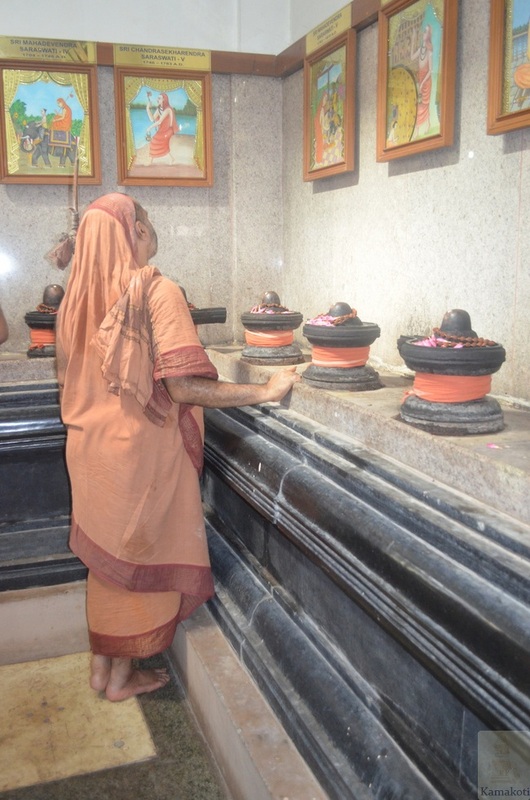 The Tapovanam has pictures of Purvacharyas with Bana lingams under each Acharya's photo. 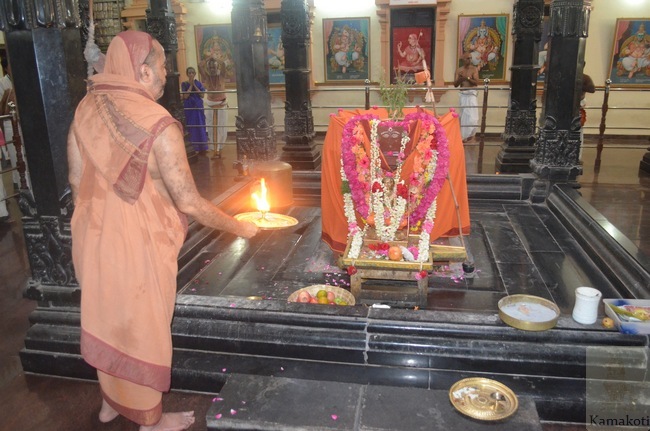 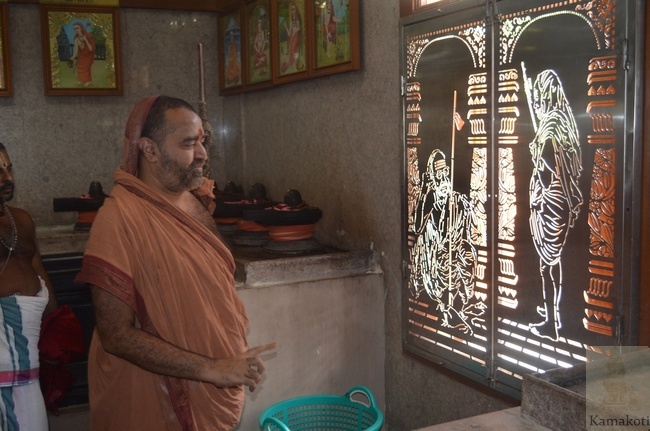 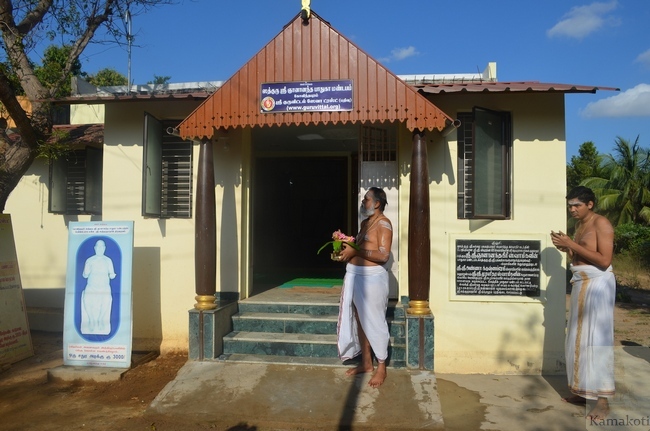 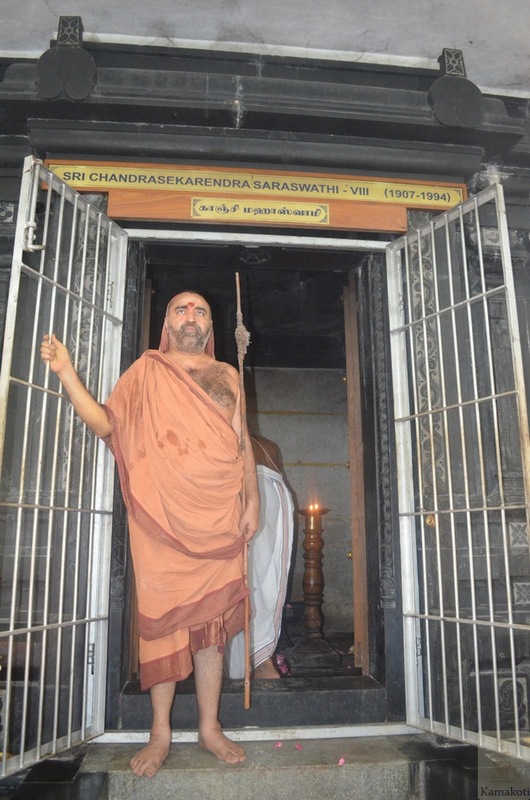 The Vigraha of Pujya Shri Chandrashekharendra Saraswathi Shankaracharya Swamigal is located in the middle of the Mandir. 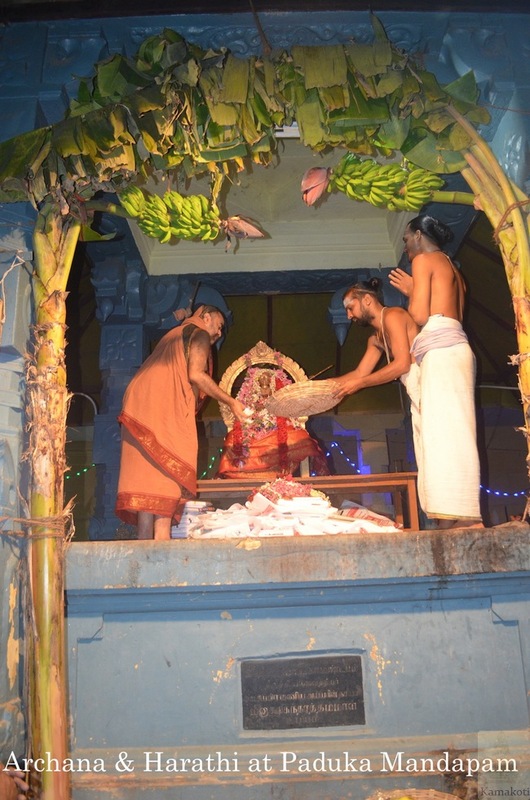 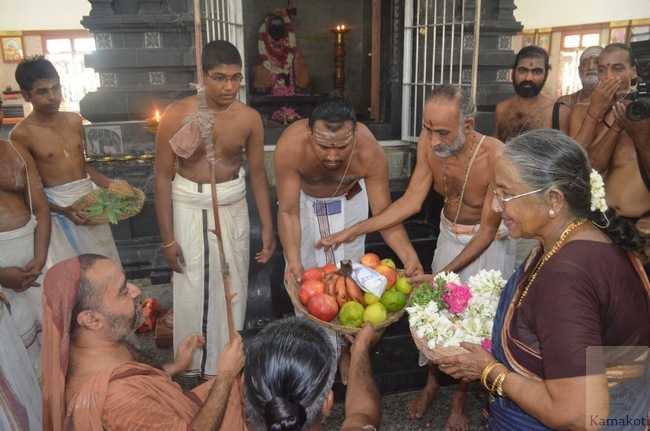 His Holiness performed Harathi to Kanchi Paramacharya's murthy. 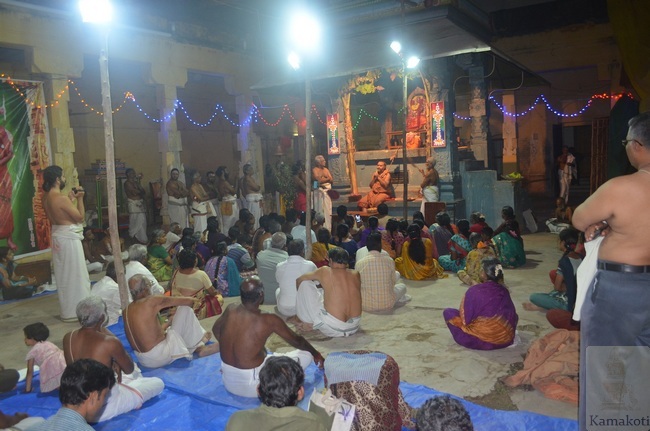 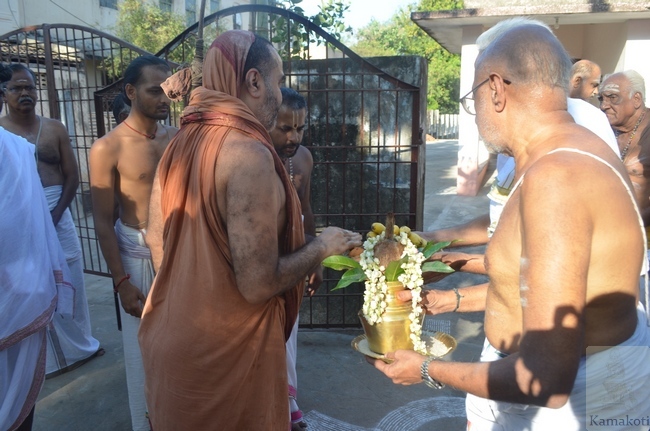 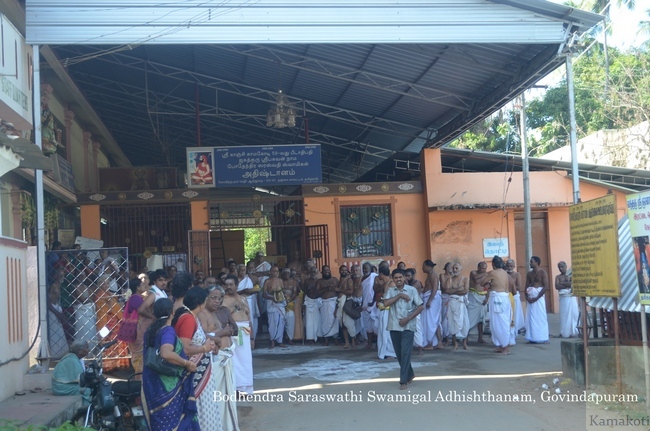 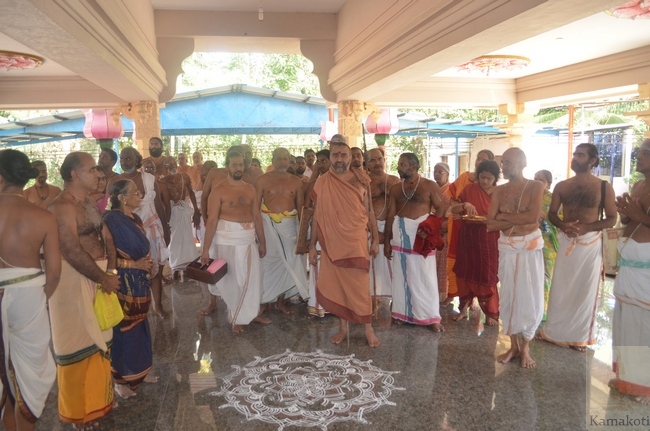 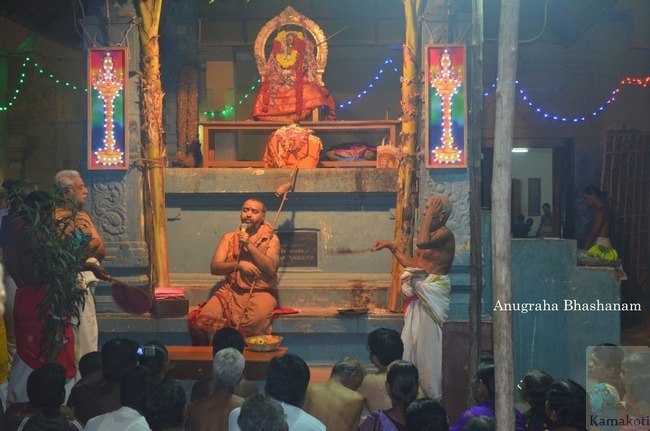 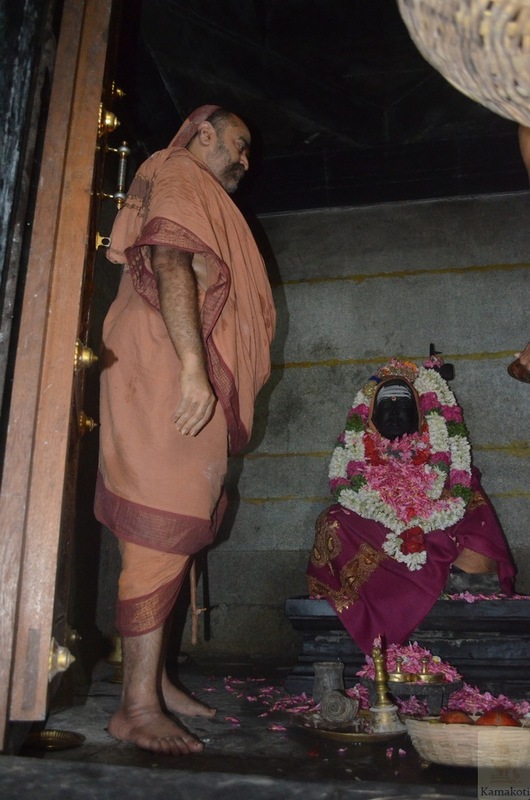 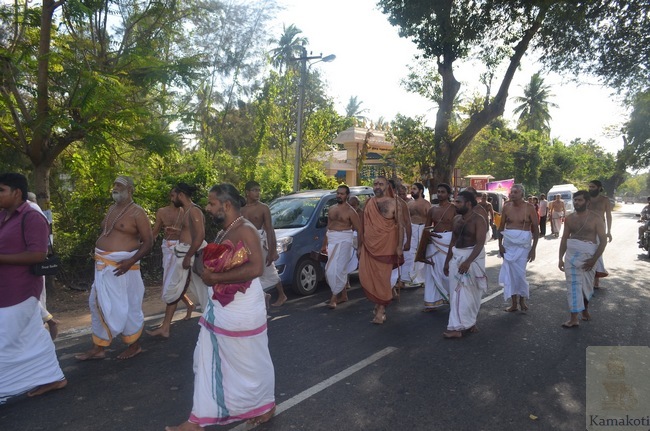 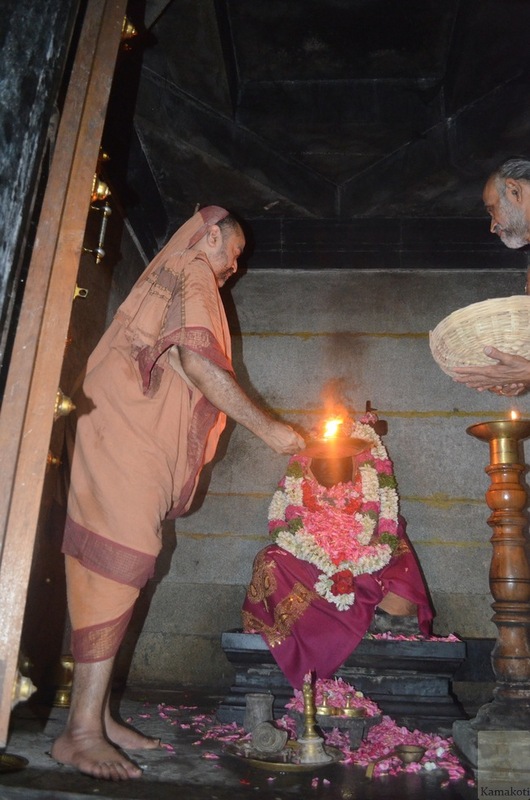 His Holiness then went to Shri Bodhendra Saraswathi Swamigal's Adhishthanam. 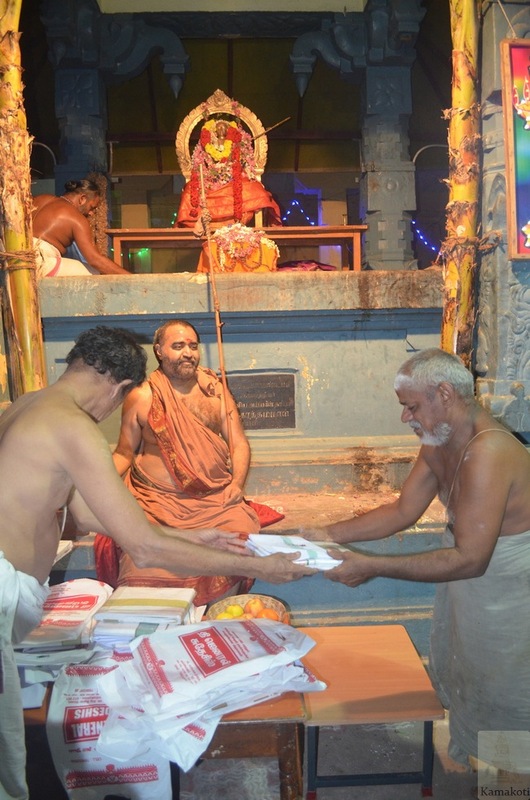 His Holiness went around the Agrahara and visited Kanchi Matham's Govindapuram Branch. 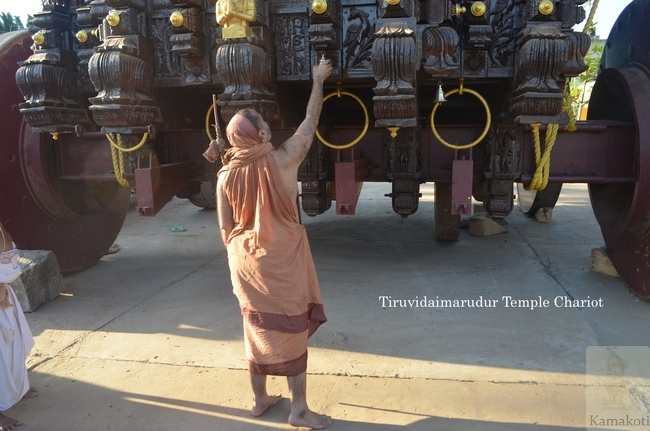 On the return His Holiness visited the Ratha Veethi of Mahalingeshwara Swamy temple in Tiruvidaimaruthur and saw the renovated chariots. 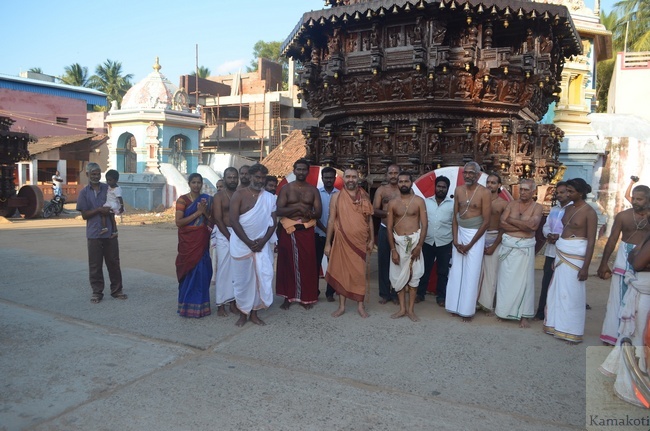 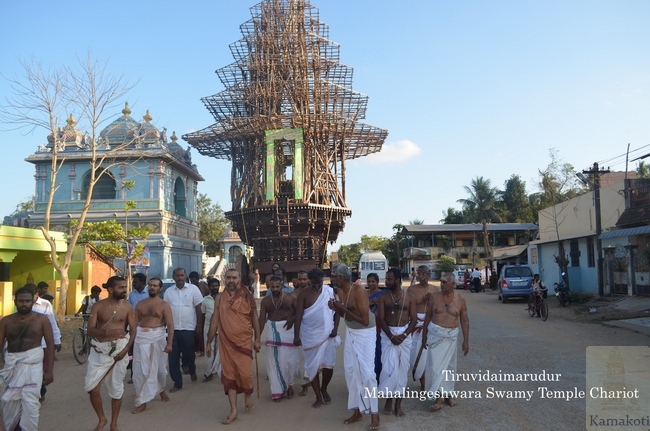 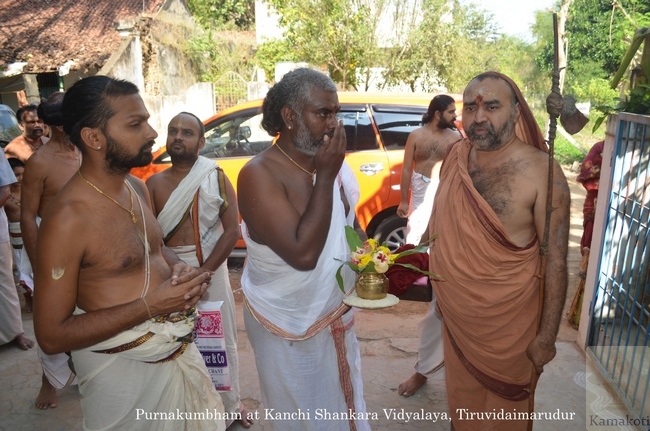 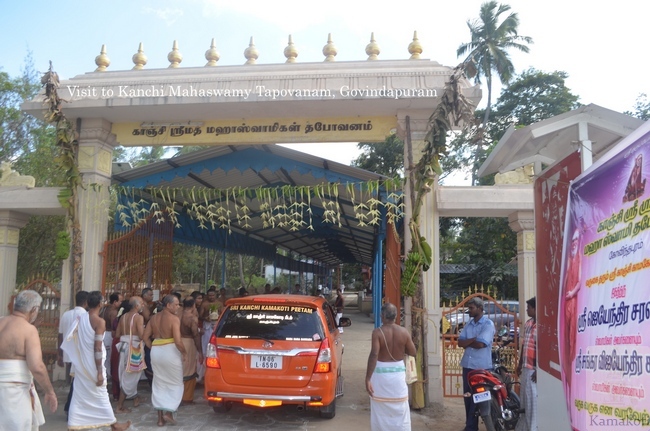 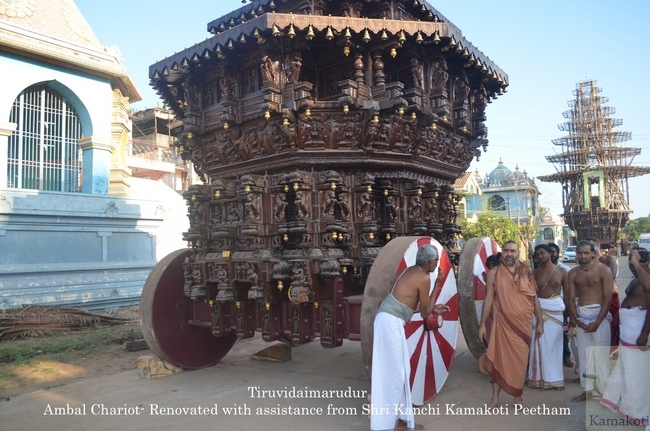 The Bruhatsundarakuchambikai Amman chariot was renovated with full assistance from Shri Kanchi Kamakoti Peetham. 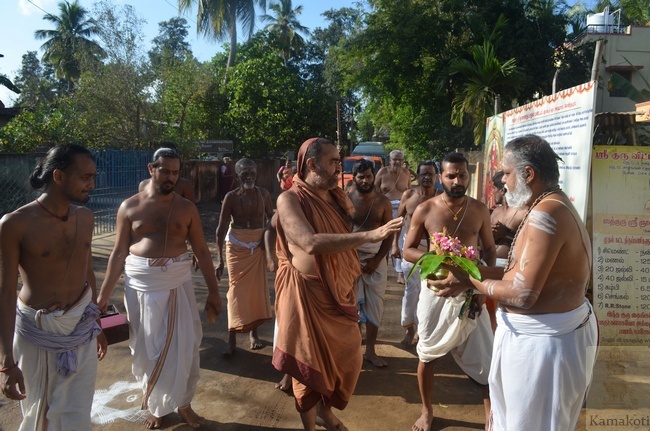 His Holiness honoured the Sthapathis & volunteers who were associated with this Kainkarya.